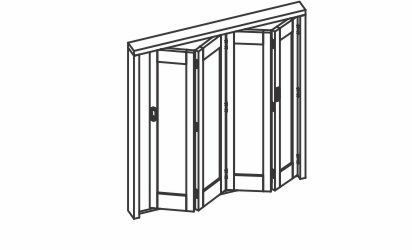 Endfold is designed for interior folding shutters and doors in residential and light commercial applications. It allows up to six panels to fold in each direction with a weight capacity of 35kg, Brio’s Endfold 75 allows up to eight panels to fold each way. The system uses three morticed hinges to swing the first panel off the jamb. The jamb panel is smaller than the other panels to allow for the hanger offset. 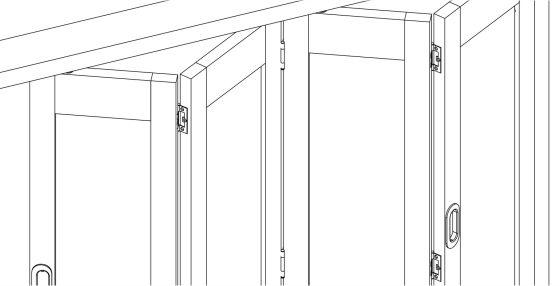 The panels can fold to either one or both sides of the opening and can also be stacked behind a reveal if required. A bottom channel and guide system is recommended for applications with three or more panels folding in one direction.